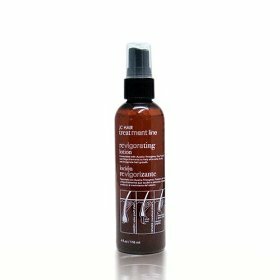 Treat your hair loss problem with his ultimate REVIGORATING hair lotion. Formulated with Auxina Tricogena, Soy Proteins and Oligo-Elements to help you treat and stimulate cell renewal within the capiliary fibers. This biological complex and the Soy Proteins along with Zn, Cu, Mg and Mn will help you on every hair growth phase. Helping you fortify and invigorate your scalp; therefore, helping you strengthen your hair. DIRECTIONS : Apply generously throughout your scalp. Massage gently. Do not rinse. Use once or twice a day. invigorate your scalp; therefore, helping you strengthen your hair.